Long Island, NY - January 31, 2019 - Petland Discounts, the Brentwood, NY-based pet supply store chain, announced yesterday that they would be closing all 100 of their New York, New Jersey, and Connecticut stores following the recent death of long-time owner Neil Padron. Padron, who some may remember from his appearances in a series of local television commercials advertising his stores, succumbed to bladder cancer in early January, 2019 at the age of 74. He is survived by his wife, Joan, and daughters, Amy and Lisa. All 69 Petland Discounts locations in New York are due to have their doors permanently closed by April 18, leaving 367 employees statewide out of work. On Long Island, Petland has locations in Medford, Oceanside, Glen Cove, Glen Oaks, Port Washington, Elmont, and Hewlett. In addition, the company also has warehouses in Brentwood. The chain currently has a total of 100 stores throughout the Tri-State area, all of which are slated to be closed, according to reports. Specific reasons for the closure of the entire chain have not been publicly disclosed and are not known as of press time, although financial reasons were indicated by the company in filings presented to the state. Petland Discounts was originally founded by Padron in Glen Oaks, NY in 1965 as a tropical fish and aquatic merchandise store. As the years went on and the chain became successful, Padron greatly expanded the number of Petland locations and began offering a wider array of pet supplies, as well as beginning to sell small animals such as birds and mice. Petland Discounts was also involved in school programs that instructed students of all ages on how to care for pets. 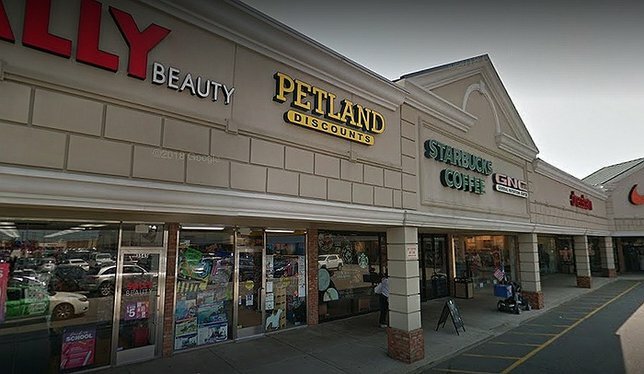 Subject: LongIsland.com - Your Name sent you Article details of "Petland Discounts Chain to Close Following Death of Owner, Including All Long Island Stores"